While most researchers up to this point have relied on dog attack evidence that was collected after the incident—such as interviews with the victims or a study of the victim’s hospital records—videos on YouTube may “provide a better understanding of why bites happen, which can contribute to the development of strategies for preventing bites.” Why is it so important to find new ways of preventing dog bite injuries? 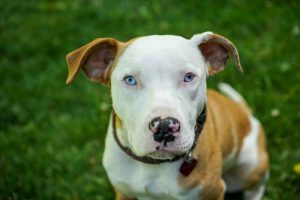 Dog bites occur more often in California than in most other states, and children often are the victims of these attacks. Two recent dog attacks in Southern California should put parents on notice about the particular risks of dog bite injuries in young children. A recent report in the Patch describes an incident in early June in which a 5-year-old hound mix attacked a 4-year-old girl, sending the child to the hospital. According to reports, the child had to receive emergency treatment after the dog “charged the girl.” Witnesses indicated that the attack was “unprovoked” and occurred while the child was near the porch on her grandfather’s property. The dog belonged to her grandfather. In many dog attack cases, the dog is known to the victim—either the dog is part of the victim’s family or belongs to a friend or family member. The dog bit the child multiple times. Shortly thereafter, two Rottweiler dogs attacked a mother and a toddler while the mother was pushing a stroller with the child inside. According to a report from NBC News, the mother had been pushing a stroller with her 2-year-old child inside in the early morning “when two female Rottweilers escaped their backyard kennel, jumped multiple gates, and ran toward the family.” The report indicated that “both dogs began biting the toddler on his head, face, and arm as he sat in the stroller.” Both the mother and the child suffered severe injuries, and the child is expected to require surgery. Was your child attacked by a dog? You should discuss your case with an Encinitas dog bite attorney as soon as you can. Contact the Walton Law Firm for more information.